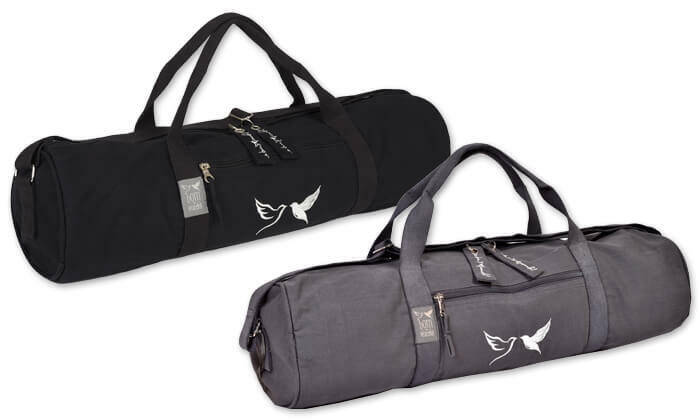 The Born Peaceful single yoga mat bag is perfect for carrying your yoga mat to class. 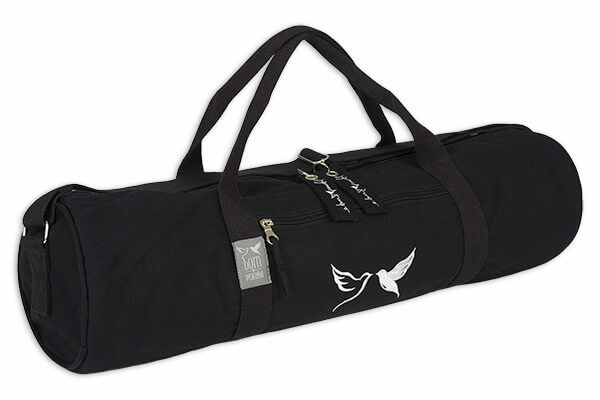 The bag will accommodate your mat as well as toiletries and a change of clothing. 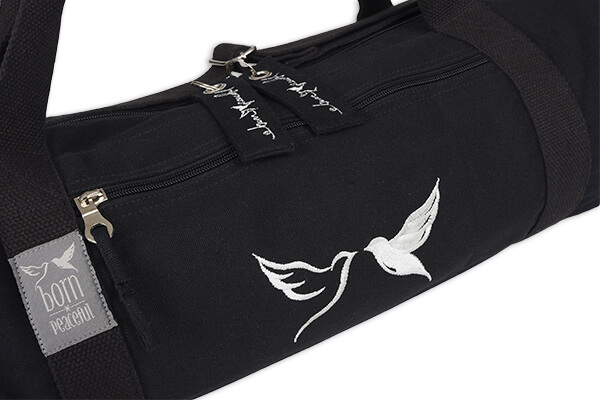 Made for strong cotton canvas and a cotton lining with a strong webbing shoulder strap. 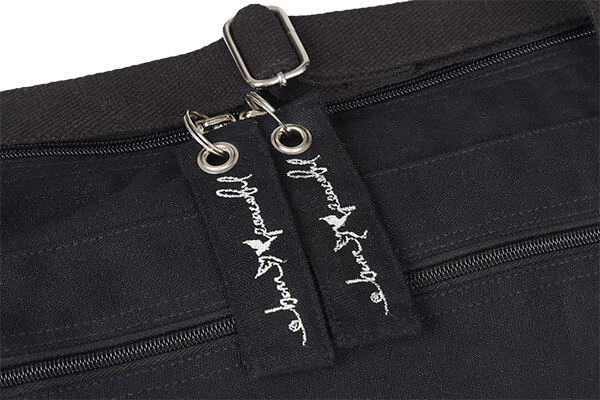 Double zip opening and quality metal components. 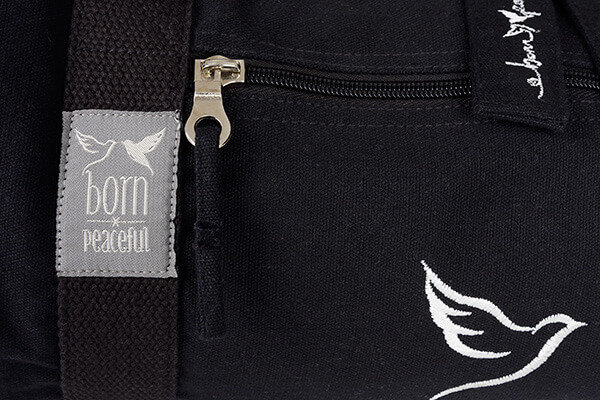 Exterior and interior zipped pockets for valuables. 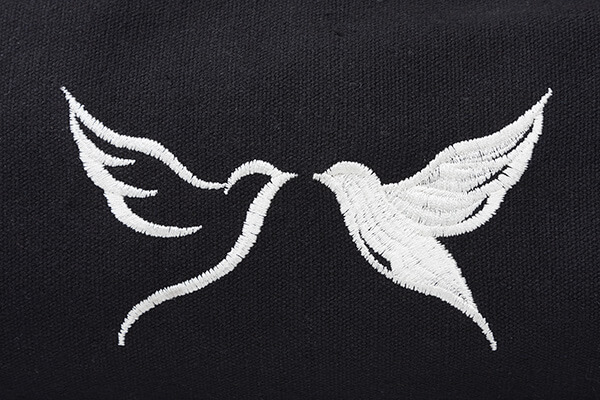 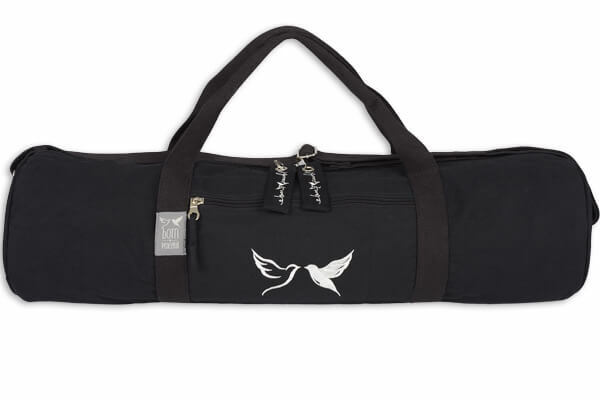 The yoga mat bag features the beautiful and striking 'Peaceful Doves' design from Born Peaceful.